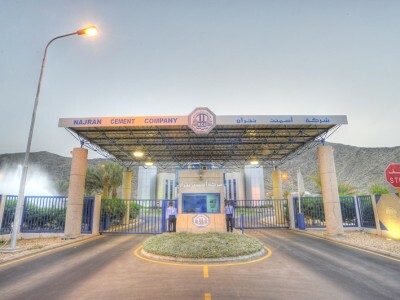 Our success in Najran Cement Company depends on our ability to protect the health of our employees and being committed to continue improving the health and safety measurements. This prompt commitment is focused towards our customers, our employees, our shareholders and other related parties and the society in which we live and work. We consider people as our valuable assets. The company complies with the occupational safety procedures that ignite the performance of workforce. In addition, the workers and their families enjoy a comprehensive health insurance plan and social security system. • The protection of our employees and striving to improve the health, safety and security measures at all times. • Working harder to avoid accidents or any incidents that might cause any harm to health in general and career safety. • Setting goals for environmental health and occupational safety enable us to assess and measure the performance and results, and then take the appropriate actions for continuous improvement at all levels. • Using our technical expertise and our potentials in all aspects of environmental, occupational health and safety in the formulation of our services and introducing our products to our customers. • Direct and continuous contact with all those involved in our operations and to ensure their understanding of the policy and programs of environmental standards and occupational health and safety and reward those who follow them relentlessly. This policy must be reviewed regularly to ensure the continued validity. In addition to our commitment to the points mentioned above, the Company applied the standards for the manufacture of cement and all applicable laws and regulations. We also consider all that is crucial to the success of our business and helps us to minimize losses in a systematic and provide added value to all parties concerned.